Aspiring professionals and amateur gentleman racers alike will want to swing by the Porsche booth at the LA Auto Show this year. That's where the German automaker will be revealing its new entry-level racer. The Porsche Cayman GT4 Clubsport is nearly stock, but features some choice upgrades to cater its disposition toward the racetrack. 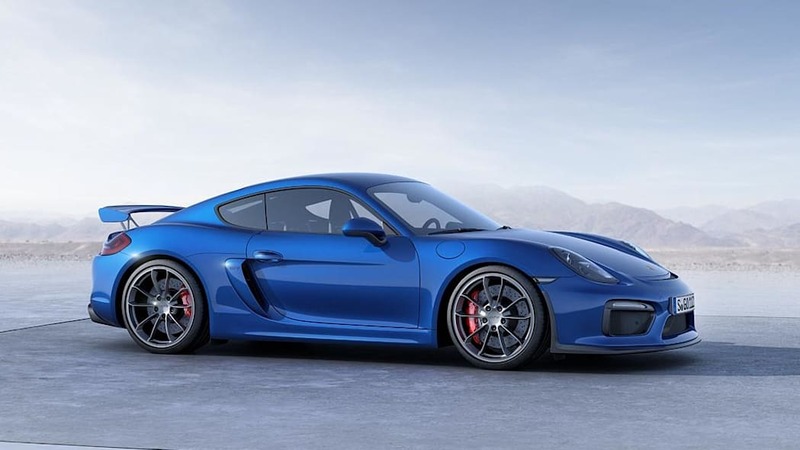 Power comes from the same 3.8-liter flat-six as the road-going Cayman GT4 (shown above), producing the same 385 horsepower. It ditches the manual, however, for the faster-shifting DCT (which we expect will soon be offered on the showroom version as well), aided by a mechanical locking differential. 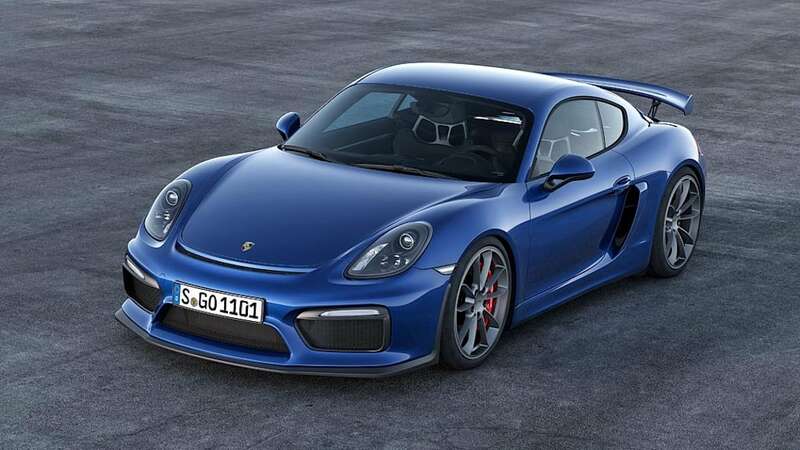 It features the front suspension setup from the 911 GT3 Cup car and beefed-up steel brakes. It's also got a roll cage inside and a racing bucket with a six-point harness. All told, the whole package weighs 2,866 pounds – making it a good hundred pounds lighter than the street-legal model on which it's so closely based. Once homologation is complete, customers will be able to field it in series like the Pirelli World Challenge, Continental Tire Sports Car Challenge, and Pirelli GT3 Cup Trophy. Porsche has yet to release images, but we'll be sure to update this post as soon as they're available – so watch this space. Stuttgart. 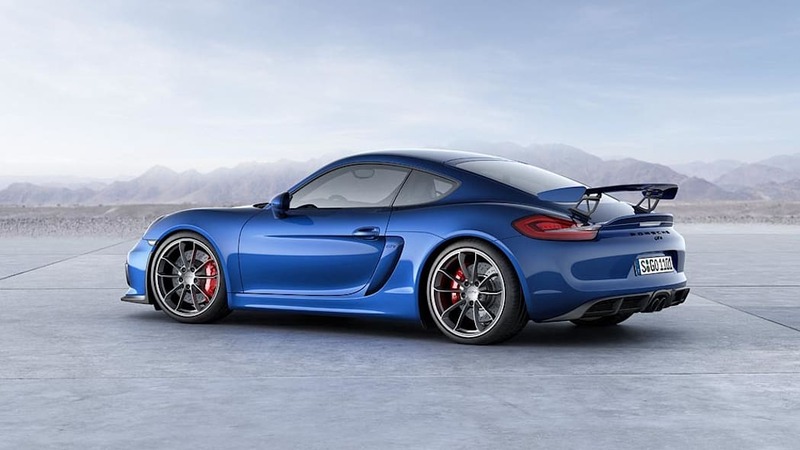 Using the lightweight Cayman GT4 as the basis, Porsche Motorsport has developed a near-standard racing version. 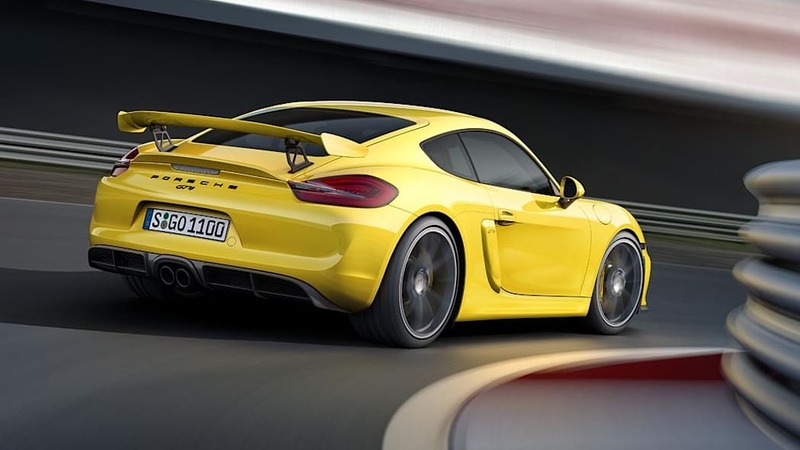 The Cayman GT4 Clubsport celebrates its world premiere at the Los Angeles Motor Show on 18 November. Sales of the 283 kW (385 hp) mid-engine racer for motorsport newcomers also start on this date. 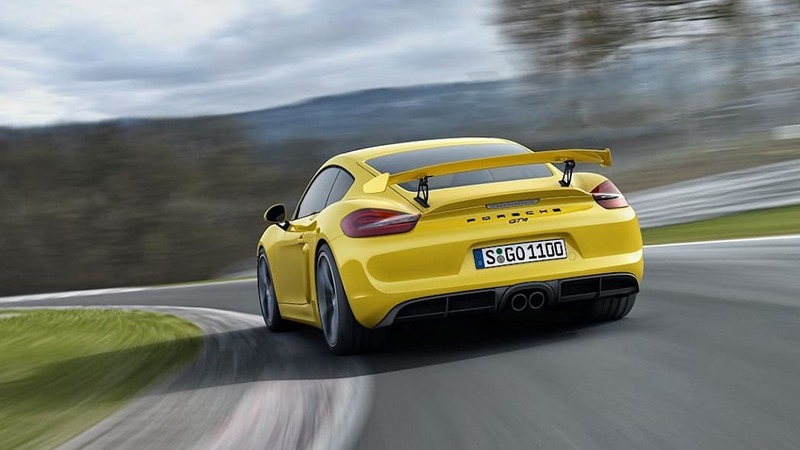 Just like its race-worthy production sibling, the Cayman GT4 Clubsport is powered by a 3.8-litre flat-six engine. 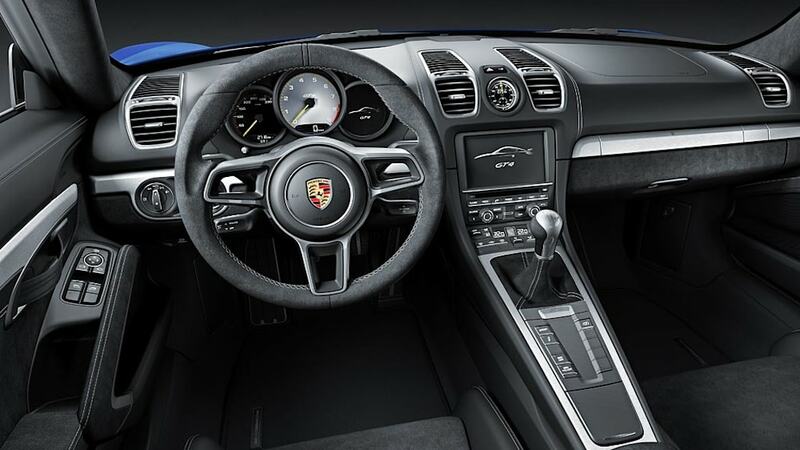 The racing version features a Porsche double clutch transmission with shift paddles on the steering wheel and a mechanical rear-axle locking differential. The lightweight suspension strut front axle is taken from its big 911 GT3 Cup brother, which is campaigned in Porsche's 20 one-make championships around the world. The impressive racing brake system is fitted with steel brake discs all round measuring 380-millimetre in diameter. 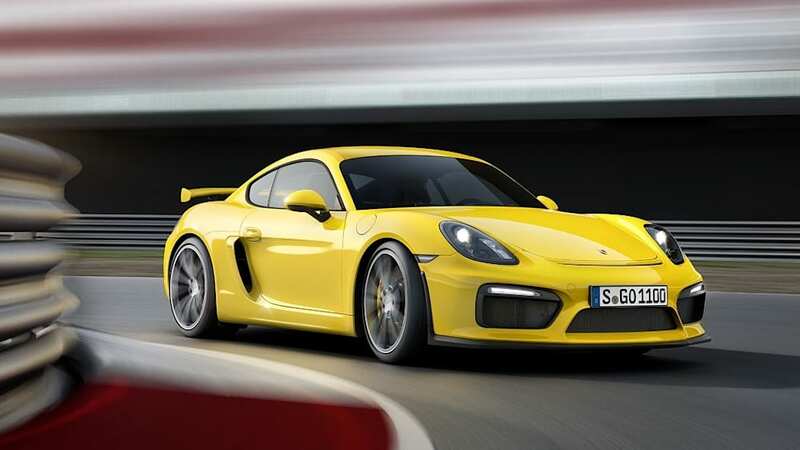 Tipping the scales at just 1,300 kilograms, the Cayman GT4 Clubsport, delivered ex-works with a welded-in safety cage, a racing bucket seat as well as a six-point harness, is truly lightweight. 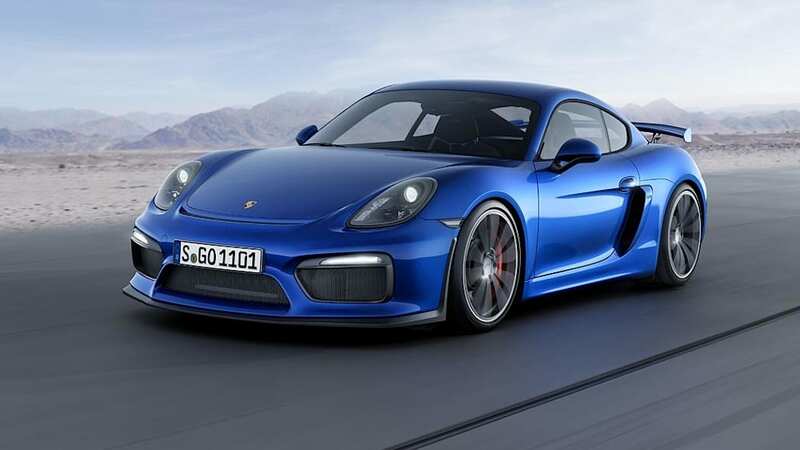 Orders for the new Cayman GT4 Clubsport can be made at Porsche Motorsport in Weissach, or from Porsche Motorsport North America for the US market. For 2016, homologation is planned for race series such as the Pirelli World Challenge, the Continental Tire Sports Car Challenge, the Pirelli GT3 Cup Trophy USA, the Ultra 94 GT3 Cup Challenge Canada and for club races run by the Porsche Club of America as well as for other club-level meetings around the world. 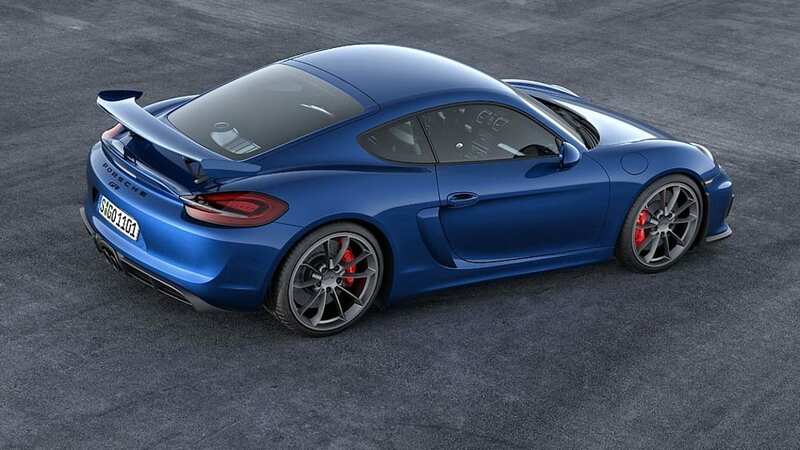 Detailed information as well as photos are available from 18 November on the occasion of the world premiere of the Porsche Cayman GT4 Clubsport.